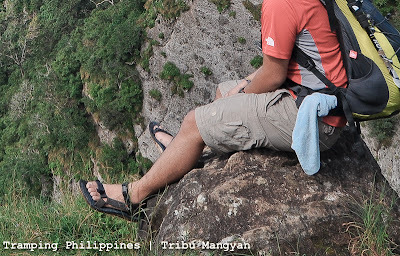 Having day-hiked many of Southern Luzon Mountains, I suddenly felt pity for the Merrel pair of shoes that accompanied me through many of my major climbs this year; enough reason to give it some well-deserved rest. As an alternative, I tried a pair of Reebok sandals but even for a Mt. Batulao climb, it failed miserably beyond my expectations. I had to tie it down using my emergency rope to restore the knots that kept on dismantling. 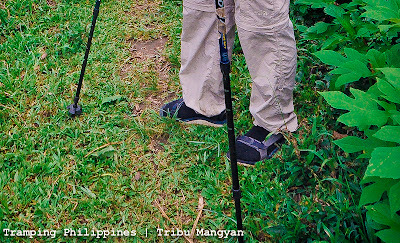 This suddenly reminded me of the tough Sandals my climb buddy, Ron, used in all of our climbs including the Akiki-Ambangeg traverse and the leech-infested Pantingan Dayhike among others. It successfully confronted other muddy trails and rock-faces thus giving me confidence that buying it would be a catch. 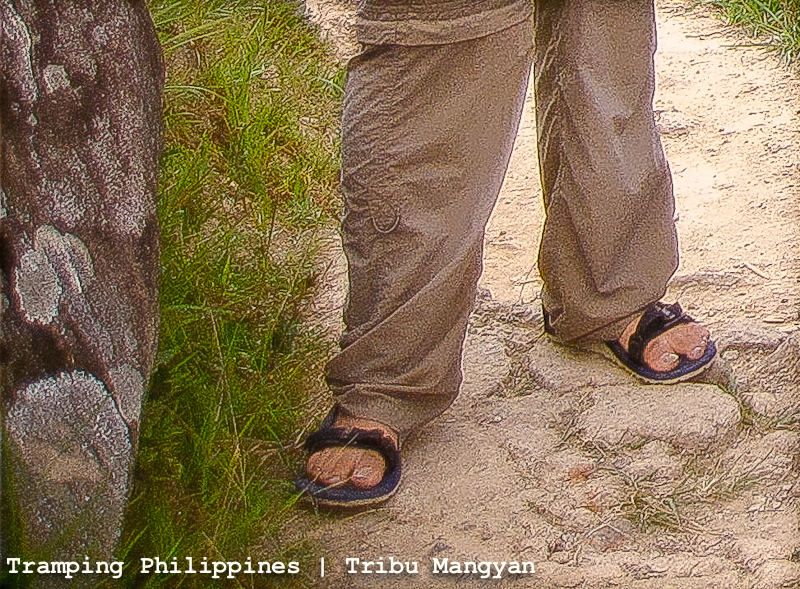 It was the very popular and ever reliable Tribu Mangyan Sandals. I bought the pair for only 595 pesos March this year and it was absolutely quite a bargain compared to the Nikes, Adidas and Reeboks. It may only have simple exterior design but I can assure anyone that it can surpass the capabilities of other branded sandals which are thrice its price. For the break-in gear testing, I used it on a Mt. Natib dayhike Agnes and I did. At first I was hesitant on abusing the pair such that hiking gently through the path was the only thing on my mind but as the rock-faces became steeper, the sandals’ durability gradually surfaced out. 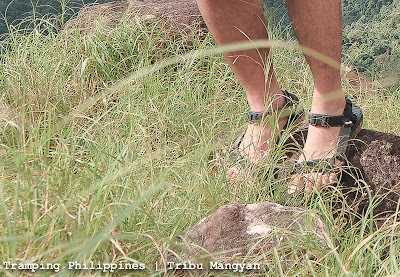 Compared to the previous pair I used, my Tribu sandals proved to be more flexible with its strong knots for support. 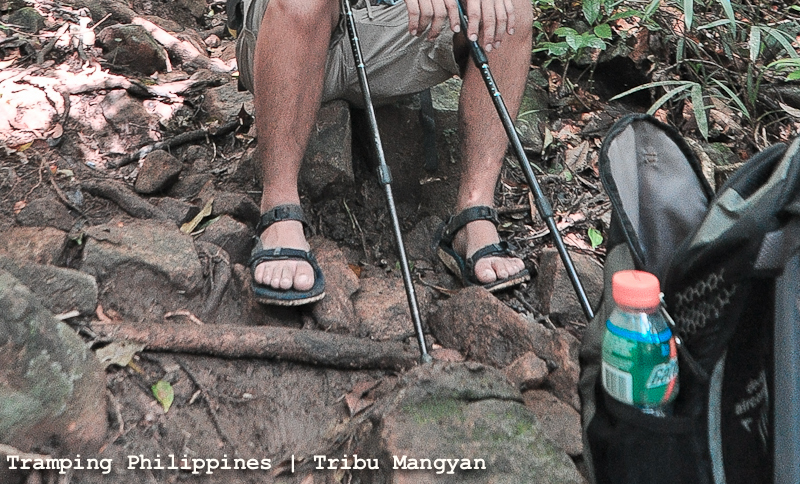 My Reebok Sandals was utterly dilapidated with just one hike down the gradual slopes of Mt. Batulao, but this pair of Tribu Sandals conformed with my feet whichever directions they took. Using this pair while running down the slopes of Mt. Pulag grassland to the campsite, I could not help but admire its performance. Our guide even used this at our Mt. 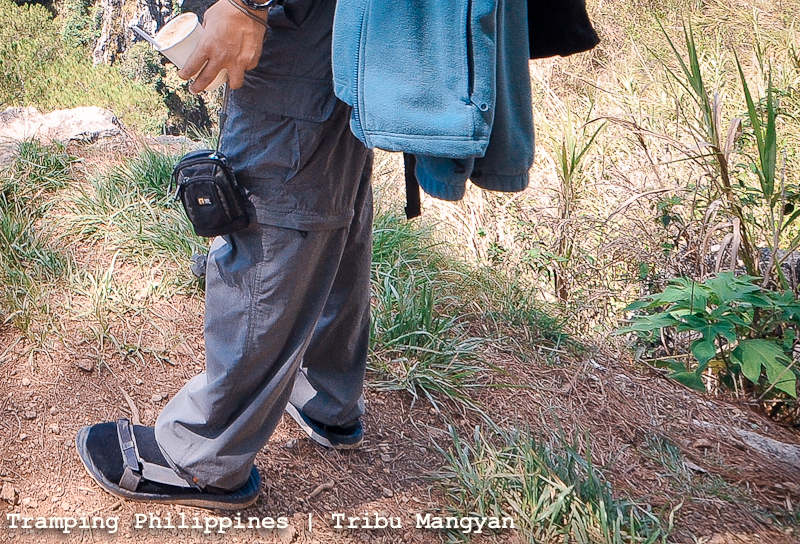 Apo climb as his footwear broke down at the middle of the trek. For the downsides however, aside from the rubber soles, it gives no other protection for your feet. Likewise, be vigilant on selecting the size that perfectly fits since it lacks adjustment for a more comfortable grip. Additionally, when I used it without socks, it produced blisters beneath my toe and other parts of the sole. But taking everything into consideration, with the right fit and a snug pair of socks, it can definitely pass as my perfect day-hike buddy. Although, this conclusion can change from one person to another citing personal preferences. I know other climbers who can not stand using sandals during treks and instead stick to their preferred pair of shoes. So after the dozens of hikes and travels it confronted, this pair of Tribu Mangyan Sandals can absolutely give other brands a run for their money. It may not be as good looking compared to other sandals but I would pick these bad-boys over Nikes, Adidas or Reeboks any day of the year. ayos 'to.. meron akong sandugo sandalas.. mukhang tatagal nmn sa akin.. I don't travel with shoes kaya laging laspag ang mga sandals..
Me also, Its quite comforting to the feet if I instead use sandals. Siguro dahil sa hangin. hehe. Chaka pag nagdodownclimb kasi ng mabilis minsan namamatay kuko ko pagka shoes. At the risk of sounding like the party-pooper here, I gotta say Tribu's Urban Mangyan was one of my first mountaineering blunders!hehe I'll write an article on footwear soon. 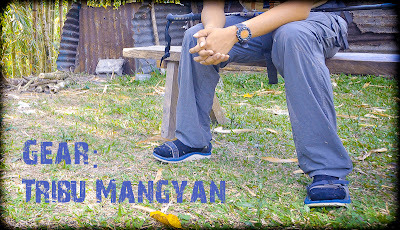 For now, you may check out my newest post (http://www.lagataw.com/2011/12/shop-and-climb.html) for shopping tips this money season! But you're right! Madalas, lalo na pag mali ang fit, nakakadamage ng kuko ang shoes lalo na pag long, fast downhill trek. And yep again, pitted against Nike, Adidas and Reebok, alam na! Siguro swerte lang ako sa nakuha kasi di pa siya napipigtas so far sa mga akyat. hehe. pero still I would prefer shoes during major climbs kasi mejo anoying yung mga pebbles na pumapasok sa paa. I think I can't deal with that for 3 or 4 days. and of course, not to mention our insect friends. hahaha. 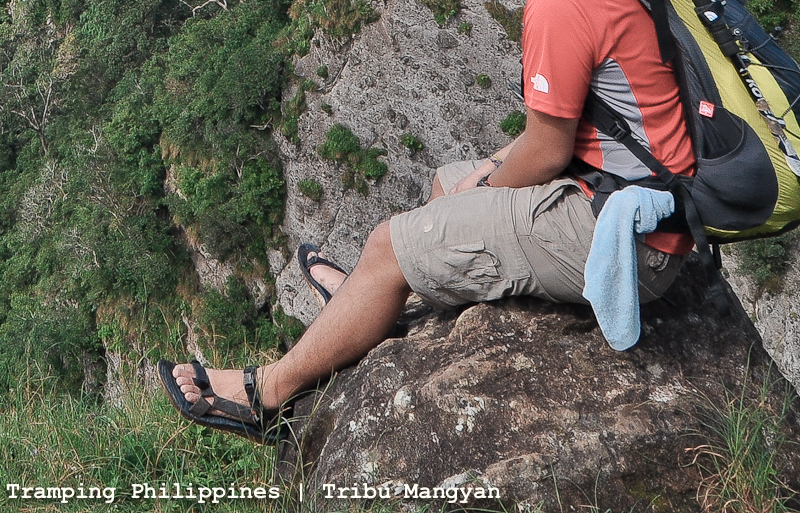 I still recommend shoes for climbing but kung normal hiking lang naman at easy walk, pwede na ung sandals for me. hehe. I tried a Reebok once for climbing. it didn't last the whole climb. during the ascent palang natatanggal na ung straps. And I had a friend who used a Nike Cross training shoe din for a simple dayhike. Thumbs down ulit. paakyat palang nasisira na. hehe. dude just saw your productions over at youtube! you're something man! That's LIFE! Nice Sandals! 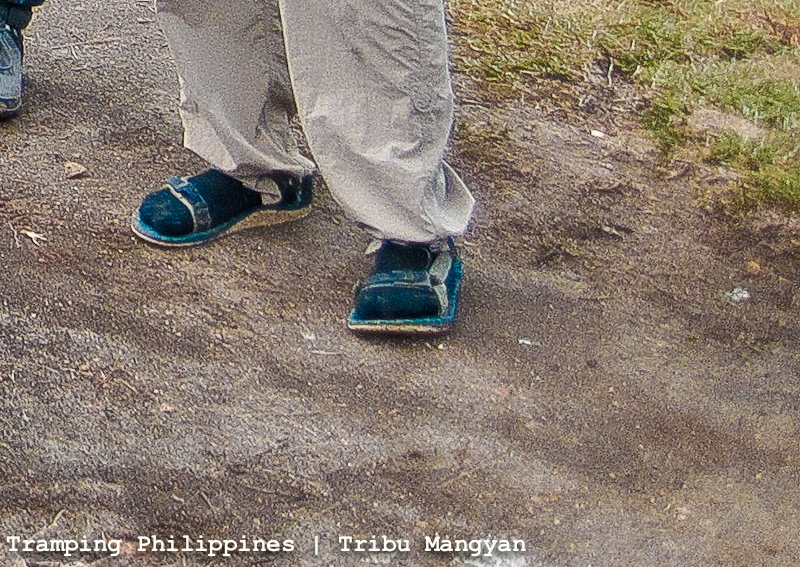 I'll get to try Tribu Mangyan Sandals.